The Halsewell East Indiaman, Robert Pollard, Robert Smirke, and Francis Jukes, 1786, National Maritime Museum. 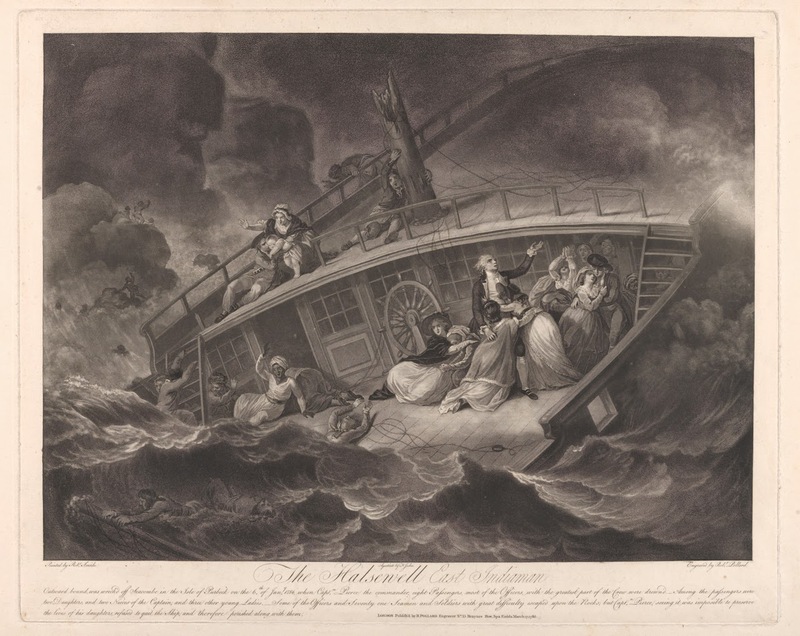 Captain Robert Pierce and the women gathered with him perished in the wreck of the Halsewell. According to accounts of the disaster, they were huddled in the cabin, not exposed on deck to be swept away. The artists chose to heighten the drama of their deaths by baring them to the sea. 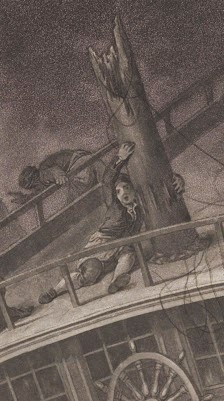 Clinging to the shattered mizzen is the only sailor we can clearly see. He wears a cap of some sort, though it is not clearly visible. His single breasted jacket is open just a touch at the top, revealing a white lining. Mariner's cuffs are also open, showing his white shirt. Plain slops are rolled up well above his dark breeches. White stockings and pointed toe shoes with rectangular buckles finish off his slop clothes.